Although school has started for a lot of us, there are still a few more weeks to enjoy the sweet scenes of summer! 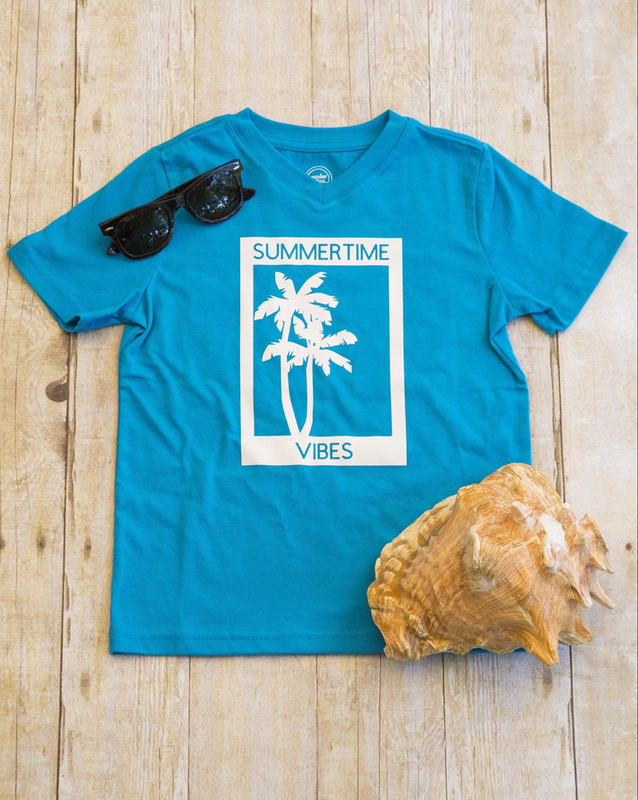 For this week’s t-shirt collection, we partnered with Tamera Petersen of Sew Sophie Lynn, who created a line of beachy tees and tanks to celebrate her favorite season. Tamera created this collection because the beach is her ultimate vacation location. 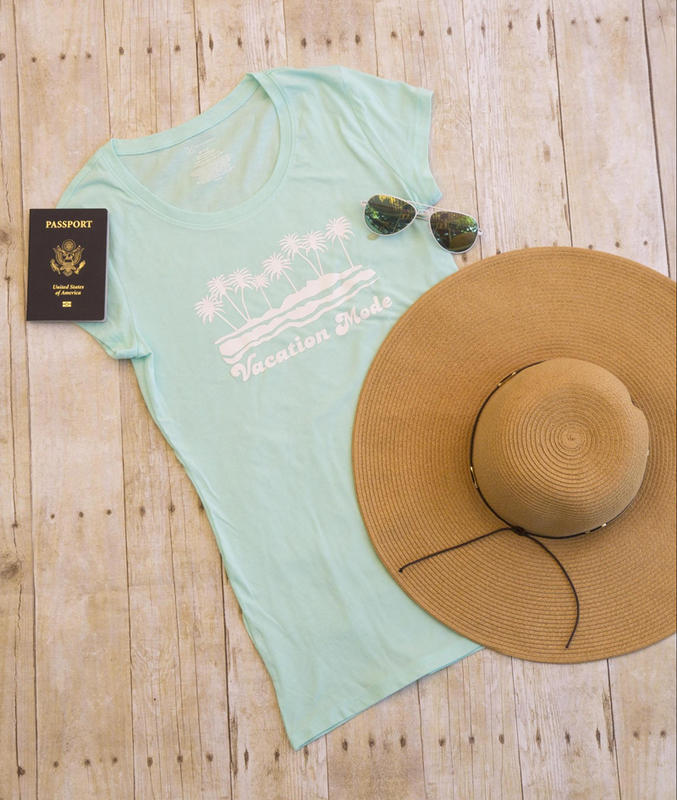 Her first design in the collection, Vacation Mode, symbolizes her love for palm trees, sand, and an amazing ocean view. 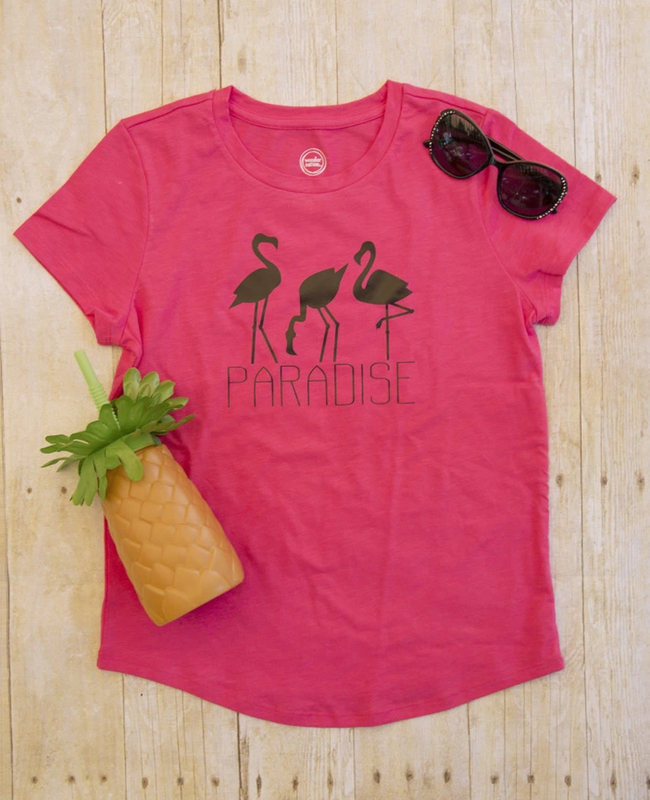 She also wanted to personalize the look for her whole family, so she created the Paradise design specifically for her flamingo-loving daughter, and recreated the Summertime Vibes design on a rash guard for her son using SportFlex Iron-On™ The rest of her collection features EveryDay Iron-On™, our newest iron-on material with the StrongBond™ Guarantee. There’s still time to make these shirts before Labor Day, so open Design Space and make one of these now! Save to Pinterest and share with a friend!